On Thursday the 22nd of July, the brand new festive hall of the Valahia restaurant was the venue for the 2004 Timisoara Chefs' Gala. The fundraising event was organised by the HIT Association (Hospitality Industry Timisoara). The stars of the evening were three of Banat County's best-known chefs: Vasile Gustere, manager of Flora de Fanti restaurant, Ioan Todor, master chef at Tinecz restaurant and Francisc Datcu, owner of Univers restaurant. The Gala attracted corporate sponsorships from Coca Cola HBC Romania, Bere Timisoreana SA (a SABMiller subsidiary), French bread producer Fropin SA and Gastro-Hess SRL, the Romanian importer and distributor of German professional kitchen equipment marketer Pentagast. Among those who attended the gala were local managers of foreign banks operating in Romania, Timisoara's chief architect Radu Radoslav, representatives of other NGO's and of insurance companies such as AIG Life, as well as proprietors of local restaurants, meat suppliers, cafes, clubs and casinos. The HIT Association, organiser of the event, was founded on the 7th of May 2004 as a not-for-profit hospitality industry employers' association, which aims to promote, protect and harmonise the interests of its members. HIT has about 60 members at present, owners or managers of hotels, restaurants, catering companies, coffee houses and clubs from Timisoara, as well as a limited number of suppliers of products and services to the local hospitality industry. HIT is not only a not-for-profit organisation, but is one that constantly eschews any involvement of politicians into its own or its members' activity. After tasting the menus prepared by Timisoara's three renowned chefs, and listening to the jazz sounds of local band Cristina Padurariu & Horia Crisovan, the guests took part in the gala award ceremony. HIT presented Ioan Todor, Vasile Gustere and Francisc Datcu with Diplomas of Excellence for their unique and long-standing contribution to promoting high class gastronomy in Timisoara and for educating many of Banat's younger chefs. Gastro-Hess manager Radu Radovici surprised the audience by awarding Ioan Todor and Vasile Gustere two holiday tickets to Greece, whilst the chefs' wives received flowers from the HIT Association. 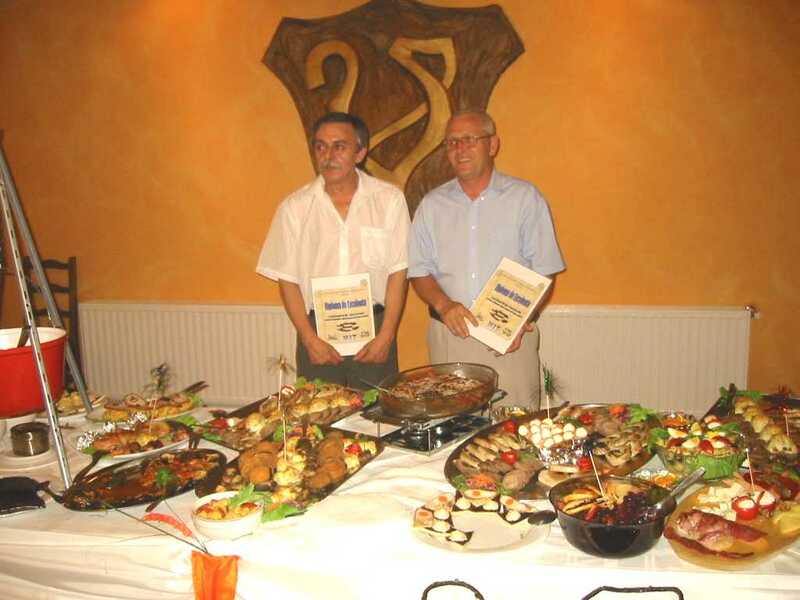 The Association also recognised, with Merit Diplomas, the contributions to the industry brought by Cornel Hodor, owner of Valahia restaurant and builder of quality hotels in Timisoara such as the Best Western, and by Iozsa Lajos, owner of gourmet coffee house Casa cu Flori, who provided constant logistic and moral support to the Association's management team. All the prizes were awarded by Monica Martinecz, owner of Tinecz restaurant, who has herself acquired a solid reputation for the quality of Tinecz's cuisine, as well as for the harmonious industrial relations which prevail in her family company.